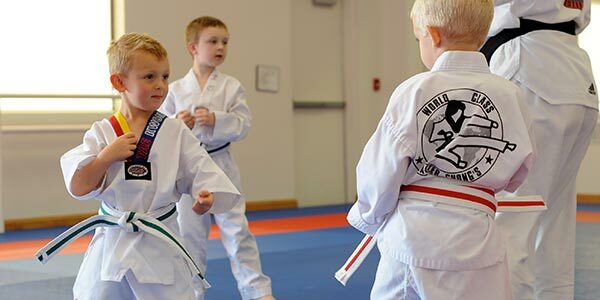 At Master Kim’s World Class Tae Kwon Do we strive to give our students the highest quality martial arts instruction possible. We empower our students with valuable skills and life lessons they can use daily, and we contribute to a safe and peaceful community through various projects and out-reach missions. In addition to martial arts, all students of Master Kim’s are taught life lessons to better utilize what they have learned. From respect to self confidence, responsibility to self-control, all of these skills are emphasized on a daily basis. At Master Kim’s we try to better our community, nation and world though helping others. The prime example of this is our yearly Break-A-Thon. 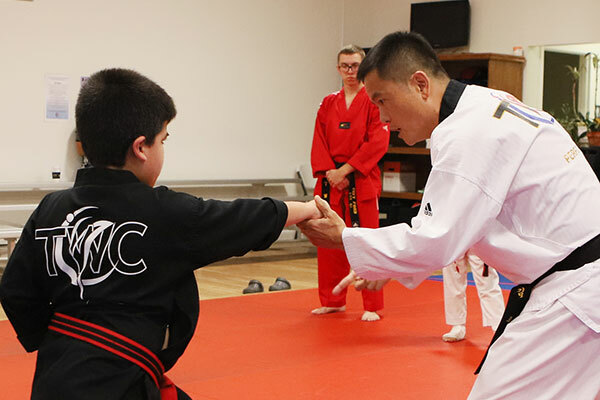 Each year the students and teachers of Master Kim’s, in conjunction with local businesses, raise money to benefit local charities and organizations. Over the years we have raised money for the South Carolina School for the Deaf and Blind as well as for Project Hope. 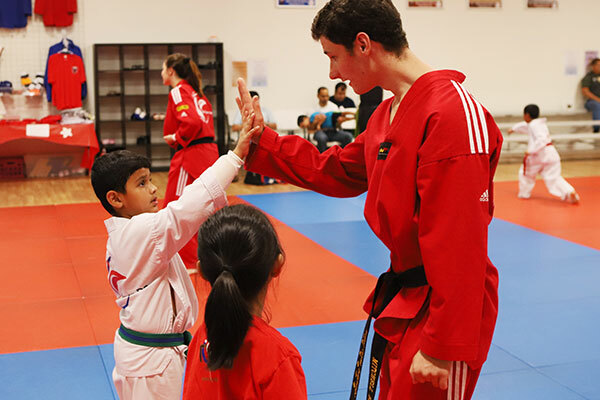 We are committed to creating and maintaining an atmosphere of positive energy and respect in our dojang. A native of Seoul, Korea, Master Kim began training in Tae Kwon Do at 5 years old. He competed extensively in Korea as a member of various elementary, middle and high school teams. He was highly successful as a competitor and held the title of national champion multiple times. Upon graduating high school, Master Kim was accepted to Yong-In University. Established in 1953, Yong-In University is Korea’s premier school for Korean athletes. Its varying athletic programs have produced countless international competitors and Olympic team members in every sport. At Yong-In, Master Kim was selected to be a member of the Korean Tigers Demonstration Team. 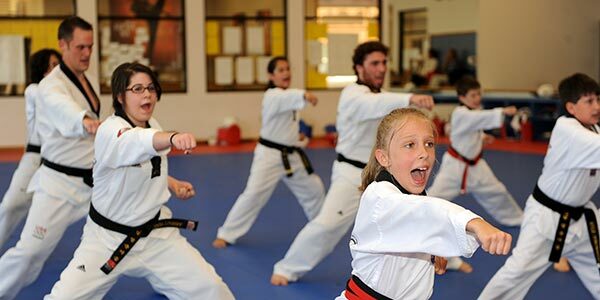 The Tigers are an international touring performance group that provide Tae Kwon Do exhibitions for martial arts schools and events throughout the world. Master Kim traveled extensively with the Tiger Team and performed at major international Tae Kwon Do tournaments including the 1993 World Championships at Madison Square Garden and the 1994 U.S. Open at the Olympic Training Center in Colorado Springs, Colorado. As an instructor, Master Kim has held the position of Head Master for the World Class Tae Kwon Do Centers in Buffalo, NY. 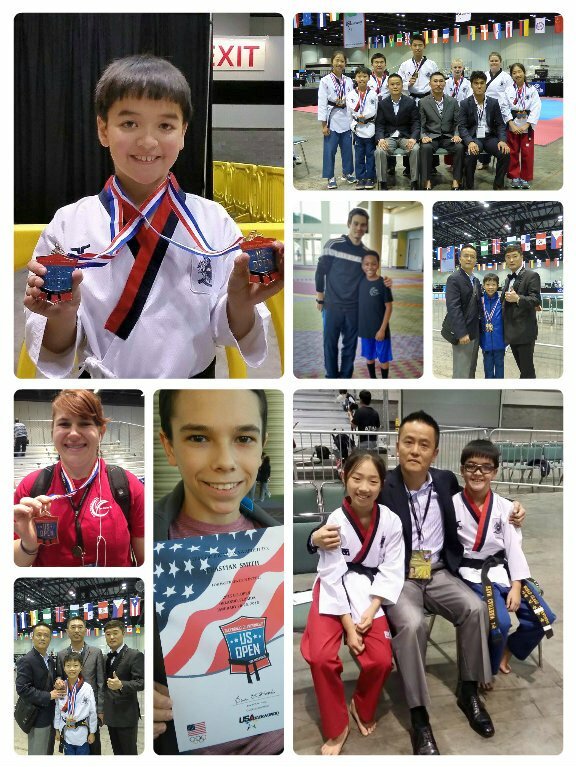 Under the guidance of U.S. National Team Coach Grandmaster Sun Chong, Master Kim oversaw the development and design of curriculum and teaching plans for over 1300 active students. In 2000, Master Kim opened his own school where he has continued to refine his teaching techniques. Master Kim is a highly dynamic demonstrator and teacher. His phenomenal level of skill and energy excite students for ever single class. 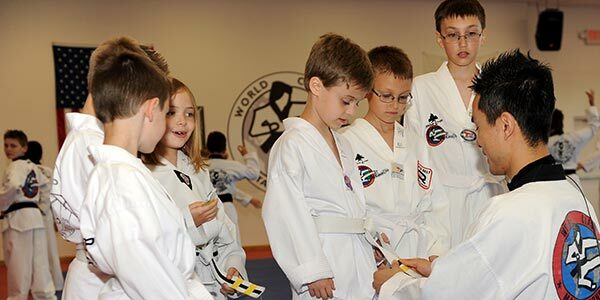 With over 35 years of Tae Kwon Do experience, Master Kim is dedicated to helping every member of the school gain the maximum benefit from their training. Master Michelle Kim began her Tae Kwon Do training under Grandmaster Sun Ki Chong in Syracuse, NY. 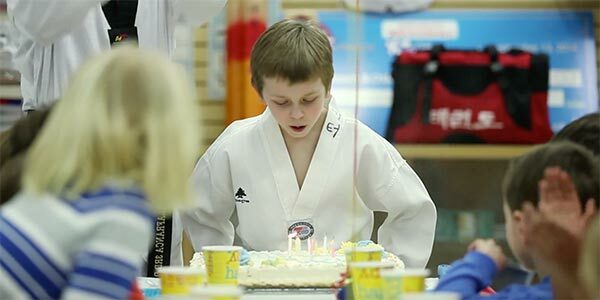 After achieving Black Belt at 13 years old, she went on to become one of the top female Tae Kwon Do competitors in the United States. As part of the U.S. Tae Kwon Do team that traveled to Korea, she gained valuable experience on the culture and training of Tae Kwon Do. Upon completing her competitive career, she was selected by Grandmaster Chong to serve as Head Instructor at the World Class Tae Kwon Do Headquarters school in Buffalo, NY. With over 19 years of professional teaching experience, Mrs. Kim brings tremendous enthusiasm, motivation, and skill to every student. Currently a 6th Degree Black Belt, Mrs. Kim continues to study and develop her Tae Kwon Do skills. Master Kim’s World Class Tae Kwon Do sent eight competitors to the US Open. They earned 3 GOLD, 1 SILVER and 1 BRONZE (5 medals!!! ): Ryan Cauthen, Cameron Tsai, Gabbie Gardziola, David Asbury, John McHaney, Jaden Baxter, Conner Caples and Sebastian Smith. Ryan Cauthen, 10 years old, won GOLD in the Pairs event. His partner was Yewon Jeong from Alabama. They won by almost a full point difference. Ryan also won SILVER in the 10-11 year old male Individual Form competition. Cameron Tsai, 12 years old, is 2013 and 2014 US Junior National Champion. He won GOLD in the Pairs Form Competition with his partner Hannah Mooney from Kansas. Cameron also went on to win GOLD in the 12-14 year old male Individual Forms Competition. Team World Class, TWC, sparring competitors included: Conner Caples , Jaden Baxter , Sebastian Smith, David Asbury , Gabboe Gardziola and John McHaney. All of them had great matches. Conner, and David won their first matches and lost their second fights. Many matched up with competitors from others countries. Gabbie Gardziola won her first match and lost in the semi-finals, winning a BRONZE medal.